A clinical trial involving a topical hair loss solution it was hoped may treat the autoimmune disorder Alopecia Areata has been terminated. The reason stated for the LEO 124249 treatment trial cancellation is ‘futility’, according to the ClinicalTrials.gov database. 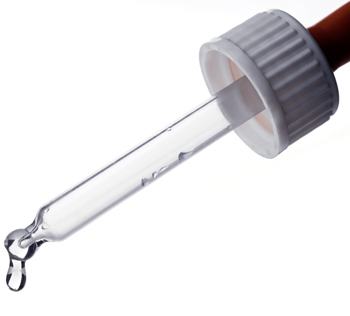 The issue as to whether a topical hair loss product that appeared to have similar properties to another topical treatment already available, was a point raised on the Belgravia blog when the LEO Pharma trial registration was announced in 2016. Whilst this was not confirmed, the fact that the clinical trial has been suspended in the manner it has suggests that the treatment was considered futile for one of two reasons: either the solution itself did not work, or it was too similar to existing drugs to be worthwhile developing further. The latter point could be particularly pertinent if other solutions were more tolerable, safer with a lower side-effect profile, more effective or simply cheaper. What this development certainly does not mean is that developing an effective treatment for Alopecia Areata is pointless. It is, in fact, an area of great interest and activity, especially when it comes to the forms not currently treatable – Alopecia Totalis and Alopecia Universalis – and for all types in children aged 15 and under. Currently the only form which can be treated is the scalp-only phenotype, and then only in medically-suitable over 16s. At present the suite of drugs known as Janus Kinase inhibitors have seemingly produced the most successful results during clinical trials. Both topical and oral JAK inhibitor drugs are in late-stage testing to treat all forms of autoimmune alopecia, and the latest estimate for a potential release date – should these meet all necessary medical regulatory board criteria – is 2021. A further drug based on a JAK inhibitor has also shown promise and has been fast-tracked for development by the FDA. 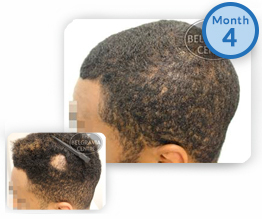 This expedition was granted due to the unmet needs of Alopecia Totalis and Universalis patients. Whilst the age group either treatment will cater to remains unconfirmed, reported clinical trial data has so far largely concentrated on adults aged 18 and above. A recent trial registration has confirmed that one JAK inhibitor – tofacitinib – is being explored as a potential children’s treatment for mild to severe Alopecia Areata. In the meantime, hair loss charities and services such as paediatric psychodermatology, can help younger children – and their support networks – to cope with the emotional effects of these noticeable conditions. Whilst those aged 16 and over may consult a hair loss specialist if they are concerned about patchy and/or sudden hair loss, though those under 16 should speak with their doctor.